This is only one part of the series. See other parts at www.Opednews.com. After Oswald returned home from the USSR, George de Mohrenschildt became Legend Maker #9. The Dallas-Fort Worth community of Soviet and Eastern European emigres - referred to as "White Russians" - took Oswald and his family under their wing upon their arrival from the USSR in May 1962. Consider the importance of White Russian defectors as spies. 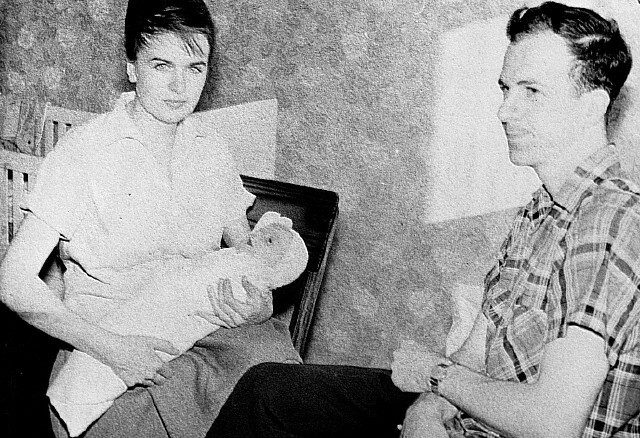 A re-defector like Lee Harvey Oswald was even more exotic. The ability of a defector to report what is happening behind enemy lines is the ultimate counterintelligence prize. The White Russian community settled on using George de Mohrenschildt as Oswald's mentor, one of the few liberals in the community who enjoyed spending time with the man. This chapter will focus on de Mohrenschildt's intelligence connections with Radio Free Europe, key RFE officials Allen Dulles and Cord Meyer, and CI chief James Angleton. Max Clark, an attorney and former industrial security supervisor at General Dynamics, was a mentor for de Mohrenschildt and this community. Clark was part of a network of security personnel that put the squeeze on the Kennedy Administration that year to get General Dynamics' TFX project in Fort Worth approved over their Boeing competitors. At the time, this deal to churn out the F-111 fighters was one of the largest military contracts in history. The White Russian community harbored an underground anti-Soviet movement known as the NTS. The Dallas White Russian community was tightly aligned with an anti-Soviet movement known by its Russian initials of "NTS" (National Alliance of Russian Solidarists). NTS was founded in 1930 by "second generation" White Russian emigres. At that time, most of them were living in Yugoslavia and Bulgaria. Yugoslavia is where Mr. and Mrs. Igor Voshinin met and married in early 1940 - they moved to Dallas, were active in NTS, and knew Oswald. During this era, "Solidarism" was a quasi-fascist ideology that saw corporations as an ideal and Benito Mussolini as a model of leadership. In the 1940s, NTS was thoroughly enmeshed with Hitler's war effort. After Germany attacked the USSR during World War II, NTS was allowed to set up a Berlin headquarters and encouraged to proselytize in Soviet territories under German control among both POWs and civilians. When the tides of war shifted, NTS swung back into alliance with the Americans. After World War II, the CIA included NTS within the Radio Free Europe/Radio Liberty organization. Radio Free Europe focused on the East European Soviet satellites, while Radio Liberty focused on the USSR itself. A House report described Radio Free Europe and Radio Free Liberty as "the best known CIA proprietaries". These were pet projects of International Organizations chief Cord Meyer, who headed these radios from 1954 to 1971. Meyer consulted directly and frequently to CIA director Allen Dulles before making any controversial decisions. As described earlier in this series, CI chief Jim Angleton and Cord Meyer were the best of friends. Meyer described Angleton as his hero. They were also Legend Makers #1 and #2 for Lee Harvey Oswald, as they had very special relationships with the people who either befriended or studied Oswald. After meeting with Meyer, Radio Liberty decreed that anyone adhering to NTS' "organizational discipline" would not be allowed to work at RL. NTS infiltrated and dominated groups that challenged its supremacy. NTS members tried to sabotage the installations and intimidate the exile staffs. Meyer saw it as part of his responsibility to "try to provide the radio with the counter-intelligence protection against this continuing intimidation...it was a never ending task". 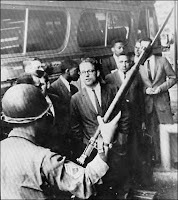 During the 1950s, the famed anti-war Yale chaplain William Sloane Coffin (the inspiration for the Rev. Scott Sloan in Doonesbury) joined the CIA. Coffin worked with the NTS to smuggle their spies into the USSR by parachute in a program known as REDSOX. Most of them were killed. Coffin looked back on the experience: "It was a fundamentally bad idea...we were quite naive about the use of American power." At its peak, NTS had about 100,000 members and its headquarters near Berlin in Frankfurt. In 1958,Soviet consul Gregoriy Golub confided that it was "a great step in his career" when he was successful in halting NTS' campaign of writing harassing letters to the Soviet personnel in Helsinki. William Blum, the author of Killing Hope, says that CIA decided that the NTS provided the best analysis about the Soviet Union, and became their main financial backer: "From North Africa to Scandinavia, the CIA network confronted Soviet seamen, tourists, officials, athletes, even Soviet soldiers in East Germany, to present them with the Truth as seen by the "Free World," as well as to pry information from them, to induce them to defect, or to recruit them as spies." By 1963, the State Department was helping NTS send broadcasts to Soviet troops in far-flung places such as the Dominican Republic. Although the NTS' power waned over time, the Soviet Communist Party admitted its fear of the NTS and other groups working with Western security agencies as late as 1990. The CIA-funded NTS network greeted the Oswald family upon their arrival to Fort Worth. Lee Oswald, however, was a little bit too weird for this community to embrace. It took another outsider -- the eccentric baron George de Mohrenschildt -- to bring Lee towards the fold as Legend Maker #9. De Mohrenschildt's father was Russian, of German and Swedish descent, and was a marshal of nobility of the Minsk province. Similarly, his Russian mother was of Polish and Hungarian descent. The Bolsheviks ran the family off their Russian home, and they were forced to move to Poland and consolidate their land holdings. One story is that de Mohrenschildt's father was killed by the Bolsheviks; another story is that his father was arrested but escaped. De Mohrenschildt observed that "most of the colony in Dallas is more emotionally involved in Russian affairs then we are, because they are closer to them. All of them have been relatively recently in Soviet Russia -- while my wife has never been in Soviet Russia in her whole life, and I was 5 or 6 when I left it. So to me it does not mean very much." De Mohrenschildt had an extremely deep background with the intelligence community, going back for more than twenty years. His handler appears to have been Thomas Schreyer, identified as "the acting chief" of the Cord Meyer's International Organizations Division [IOD] back in 1956. This means that Schreyer worked very closely with Cord Meyer. [IOD merged in October 1962 with covert action staff.] In April 1963, the Domestic Operations Division asked for traces on de Mohrenschildt, with Schreyer's name provided as the source for any follow-up. The CIA admitted before the assassination that de Mohrenschildt was "of interest" to them. CIA Dallas resident agent J. Walton Moore stayed in touch with de Mohrenschildt, which will be discussed later in this series. Covert action chief Richard Helms acknowledged that de Mohrenschildt and his wife provided useful foreign intelligence in 1957. His brother Dimitri von Mohrenschildt, described by the CIA as being "employed in a confidential capacity by the U.S. government," is said to have been one of the founders of Radio Free Europe and Radio Liberty. A lengthy CIA-created list entitled "Companies and People Known to be Associated with de Mohrenschildt" includes only one political group: "Dallas Committee Radio Free Europe." De Mohenschildt's wife in Philadelphia, Phyllis Washington, also worked for Radio Free Europe in the early fifties. The Radio Free Europe connection is an important link between Cord Meyer and George de Mohrenschildt. George couldn't get OSS credentials during World War II because of security disapproval. He was subjected to five separate investigations by intelligence during the 1940s and 50s. Officers like Meyer and Schreyer, however, understood the nature of his relationship with people such as the Jacqueline Bouvier family and the White Russian community. A CIA memo notes that George knew the families of the Kennedys and the Oswalds better than anyone else. One of George's contacts exposes his hidden CIA connections. In 1954, a young oil lawyer named Herbert Itkin wrangled a meeting in Philadelphia with Allen Dulles, the first chief of Radio Free Europe and future CIA chief. Dulles set him up with a meeting with de Mohrenschildt, who told Itkin he was "from that man in Philadelphia" and that his name was Philip Harbin. William Gaudet verified at an HSCA deposition that he knew George under his alias as Philip Harbin. De Mohrenschildt's beloved and soon-to-be new wife, Jeanne, was from Harbin, China. Angleton testified that Dulles was a very close friend of his own family. 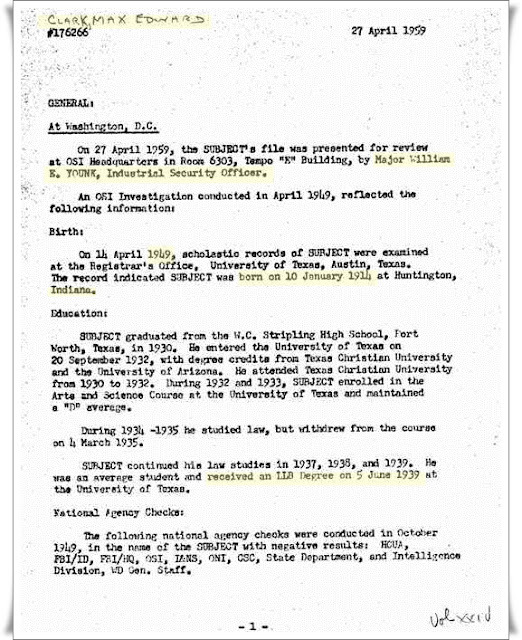 Angleton had both an Itkin file and a "Mike/Portio/Haiti" file (Itkin's code name was Portio). Itkin claimed he met "Harbin" in 1954, while CIA general counsel Larry Houston claimed that he could not find any Itkin files prior to 1964 after thousands of hours of search. This was probably because Angleton's personal Itkin and Portio files were kept apart from the CIA records system, and were only discovered after Angleton was fired in 1974. All indications are that de Mohrenschildt was provided to Dulles by Angleton. Working under the Harbin alias, de Mohrenschildt worked with Itkin in oil matters as a nonpaid, voluntary agent between 1954 to 1960, before Itkin moved on to work with another agent. Itkin's skills enabled US Attorney Bob Morgenthau to win convictions against New York political boss Carmine DeSapio and city commissioner James Marcus. Morgenthau's office described Itkin as "probably the most important informer the FBI ever had outside the espionage field. He never lied to us. His information was always accurate." By May 1963, Itkin became the attorney for the Haitian government-in-exile. CIA documents show that Itkin's handler in 1963 was Mario Brod, who was recruited in Italy by James Angleton during World War II and had operational involvements in Haiti. Before his brother was killed, Bobby Kennedy himself was relying on mob tips from Itkin. In 1966, Itkin was reportedly researching under his code name "Portio," while Angleton held onto his private "Mike/Portio/Haiti" file. In 1968, CIRA (CI research and analysis chief) Ray Rocca swore that the "CI Staff definitely never was in contact" with Itkin. By 1971, CIRA's bird-dog investigator Paul Hartman was asking to review Itkin's CIA file, no doubt to educate himself on some fine points. "This group of Russian refugees (who) called themselves Solidarists. And Mr. and Mrs. Voshinin in Dallas belonged to that group and tried to make me join it. Not being interested, I refused, but I read some of their publications. And it is a pro-American group of Russian refugees who have an economic doctrine of their own. And they seem to have some people working in the Soviet Union for them, and all that sort of thing. It is a pretty well-known political party that - their headquarters is in Germany." "She and her husband are members of NTS - Russian Solidarists, which she stated is known as the National Union of Working People, which organization has a representative in Washington D.C. She stated this organization exists in the form of an underground movement in Russia and also has groups in the rest of the world; that its objectives include the abolishing of Communism and the establishment of private enterprise." Jenner was careful not to ask her any questions about the NTS at the Warren Commission hearing. But the irrepressible Natalie Voshinin still managed to flip the script. When Jenner was probing for communistic connections by de Mohrenschildt, she exclaimed that "George repeatedly hinted that he was performing some services for the State Department, you know, of the United States, yes. And under those circumstances, you just don't feel like asking any questions." Jenner quickly changed the subject. De Mohrenschildt once made a presentation at a lecture hall about General Vlasov's Russian POWs that fought on the side of the Germans at the end of World War II, discussed at the beginning of this chapter. Just to shock his Jewish friends at the club, de Mohrenschildt quipped "I came to the conclusion that Himmler wasn't a bad boy at all." Raigorodsky agreed that de Mohrenschildt was a "prankster." De Mohrenschildt settled down as a member of a political grouping that is virtually extinct - a liberal Republican. He said that Kennedy was the first Democrat he would ever vote for. Both De Mohrenschildt and Oswald were attracted by the union of opposites. "He is gone now, God bless his Bible-quoting soul and his earthy personality." "I am from New Orleans, as a kid I met refugees from all these banana republics. No better source of information. In this way, Lee and I were non-conformist, even revolutionaries...A younger man, I was career and money mad, a hustler...But Lee was the same since his childhood, which made him such a beautiful and worthwhile person to me." As an aristocratic liberal from a mixed ethnic background, de Mohrenschildt was an outsider in the White Russian community. De Mohrenschildt turned to George Bouhe for guidance in how to get things done. Bouhe was an old-school kind of guy -- born in in Leningrad when it was still St. Petersburg and a bit of an aristocrat himself. Bouhe was an accountant for one of the local oil barons and served as a patriarch in the community. Bouhe testified that Paul Raigorodsky was the 'godfather' of the group, while he himself did the organization work. Bouhe formed the St. Nicholas Russian Orthodox Parish, one of the two Russian Orthodox parishes in the Dallas-Fort Worth area in 1963. 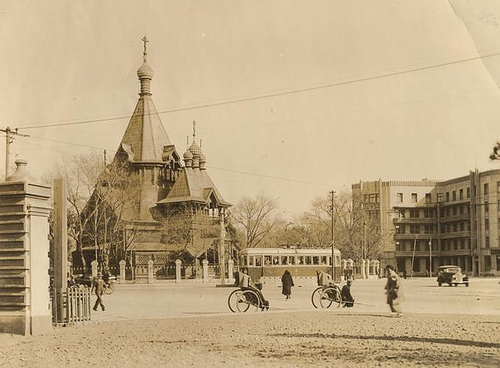 Also known as the "Bouhe group," they met in individual homes with a priest from Houston visiting every five or six weeks and had services in Church Slavonic, an old Slavic language that is different from modern Russian language. De Mohrenschildt was part of St. Nicholas' choir when married to his Philadelphia wife. The other church, St. Seraphim's, was located at 4203 Newton Street in Dallas, where Igor Voshinin attended and services were in English. Voshinin didn't like Bouhe because he was very publicly in everyone's business, saying things like "Well, you know, I forget things - so I keep a file on everybody." De Mohrenschildt's attorney Max Clark had an intelligence background, doubling as an industrial security supervisor at General Dynamics. When the White Russian community heard about Oswald, they sought out Max Clark's opinion as how they should respond to Oswald. De Mohrenschildt considered Clark to be his lawyer. De Mohrenschildt testified that he thought Clark was connected with the FBI in some way. Clark referred to his interviewing agent Earle Haley as "Earl," and told the Warren Commission that he was familiar with Haley and the FBI from working with them when he worked security at General Dynamics. "Everyone was discussing that as to whether or not they should (associate with Oswald) especially when he first came back and all of them asked me and I said, "In my mind he is a defector and you know what he is..."
Clark was an industrial security supervisor at the Convair wing of General Dynamics and well-versed in the ways of intelligence. In 1951, Convair had landed the Air Force contract for the first funded ICBM study contract. Max's wife, Gali Clark, was an excellent Russian speaker sought out by Oswald to help his family get situated after their return from the USSR. Her name was in Oswald's address book. Stripling High School replaced by Arlington Heights High. Max Clark had a close relationship to General Dynamics supervisor I. B. Hale. Three years earlier in 1959, Max Clark had received a CIA "covert security approval" in "Project ROCK" during the same time period that then-foreign intelligence chief Bill Harvey of Staff D worked on the U-2 related Project ROCK. A covert security clearance with the CIA gives the CIA officer the right to share classified information with a civilian. A CSC is telling evidence of strong interactions between the subject and the CIA, whether the subject is witting or unwitting. Max Clark's file states that he "worked closely" with I. B. Hale, a former FBI agent who was the chief of industrial security at General Dynamics. I. B. Hale had been married to Virginia Hale, who got Oswald his sheet metal worker job at Leslie Whiting during July 1962. When interviewed after the assassination, Virginia Hale said that she remembered Oswald "quite well". The Hale family was involved with blackmailing the Kennedy Administration in the TFX scandal. During this time, the Hale family was involved in a brazen campaign of extortion designed to force the Kennedy Administration into approving General Dynamics as the prime contractor to build the TFX bomber at their Fort Worth plant. 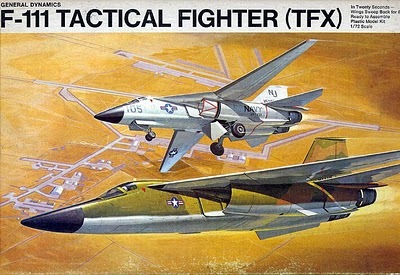 This plane is now better known as the F-111. At the time, this 7 billion dollar contract was the largest military contract in history. Two weeks after I.B. 's wife Virginia got Oswald a job, their sons led a break-in at Judith Campbell's house. Campbell was the girlfriend of not only John F. Kennedy, but also Mafia chieftains Sam Giancana and Johnny Roselli. 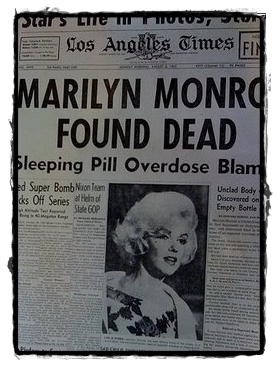 On August 5, Marilyn Monroe died in Brentwood, an affluent LA suburb, with a Kennedy phone number near her bed. There are many well-known stories tying her with close relationships with both JFK and RFK. The next day, August 6, JFK mistress Judith Campbell twice called the White House. A note in the White House log shows that Kennedy was in conference, with the scrawled addition "no." Knowing of these relationships, the Hoover FBI had created a stake-out across the street from Campbell's home. While Special Agent William Carter was on duty, he saw two young men in their 20s come to Campbell's apartment. Campbell was not home, and the FBI later verified that she was elsewhere. One of the perpetrators went inside the apartment, while the other one stood as lookout on the balcony. Agent Carter obtained the license plate numbers for the car, which matched Hale's car. The FBI agent concluded that the perpetrators were Hale's sons based on their age (early 20s) and their physical description. The perpetrators left after about 15 minutes without taking anything. It is reasonable to assume that they had planted a listening bug. 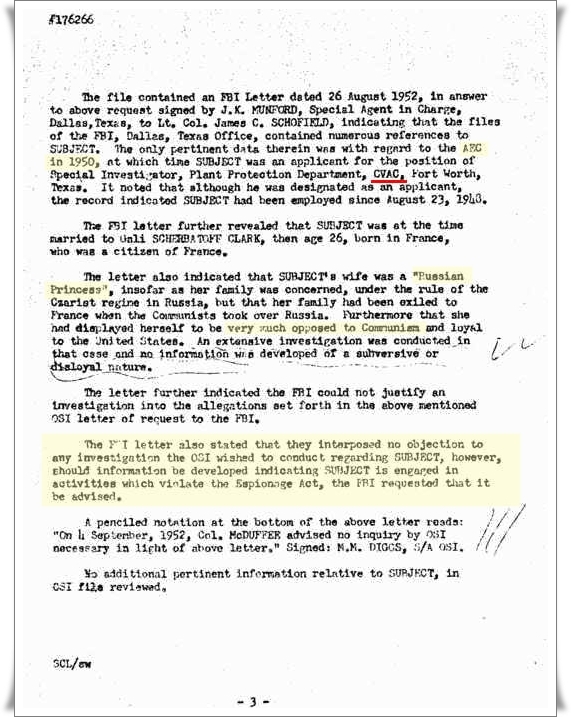 The reason for the stakeout is right in the FBI report: The FBI had heard the stories that Judith Campbell was the girlfriend of Sam Giancana, Johnny Roselli, and JFK. The FBI wanted no part of this case and declined to take any further action after running out a few leads. Attempted blackmail around the TFX contract would appear to be the motive. Two months later, in October 1962, General Dynamics won the 7 billion dollar contract over the heavily favored Boeing. This controversial decision dogged the Kennedy Administration from that day. 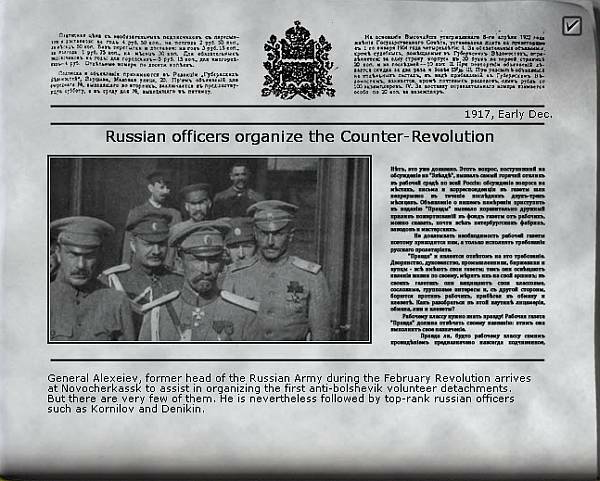 NTS was founded in 1930 by "second generation" White Russian emigres. At that time, most of them were living in Yugoslavia and Bulgaria: Kevin Coogan, Dreamer of the Day, (Autonomedia: Brooklyn, 1999), p. 572. Yugoslavia is where Mr. and Mrs. Igor Voshinin met and married in early 1940 - Dallas emigres, active in NTS, and knew Oswald: Testimony of Mrs. Igor Voshinin, 3/26/64. Warren Commission Hearings, Volume 8, p. 427. After Germany attacked the USSR during World War II, NTS was allowed to set up a Berlin headquarters: Arch Puddington, Broadcasting Freedom: The Cold War Triumph of Radio Free Europe and Radio Liberty, (Lexington, KY: University Press of Kentucky, 2000), p. 160. After World War II, the CIA included NTS and its journal Possev (Seed) within the Radio Free Europe/Radio Liberty organization: Coogan, Dreamer of the Day, p. 573. A report by the House Select Committee on Assassinations described Radio Free Europe and Radio Free Liberty as "the best known CIA proprietaries": Narration by G. Robert Blakey, Chief Counsel, HSCA Appendix Volumes/ HSCA Report, Volume IV, p. 3. Cord Meyer was the division chief in charge of Radio Free Europe and Radio Liberty from 1954 until 1971: Puddington, p. 24. After meeting with Meyer, Radio Liberty decreed that anyone adhering to NTS' "organizational discipline" would not be allowed to work at RL, because of NTS' history of infiltrating organizations and dominating them: Puddington, p. 162. NTS had its headquarters near Berlin in Frankfurt: Memorandum by Thomas A. Parrott to the Special Group, 4/26/63, p. 3, Miscellaneous CIA Series / NARA Record Number: 104-10306-10024. Meyer saw it as part of his responsibility to "try to provide the radio with the counter-intelligence protection against this continuing intimidation"...: Cord Meyer, Facing Reality, pp. 120-121. Coffin looked back on the experience: "It was a fundamentally bad idea...we were quite naÃ¯ve about the use of American power. ": Tim Weiner, Legacy of Ashes (New York, Doubleday: 2007), p. 47. Soviet consul Golub confides that it was "a great step in his career" when he was successful in halting NTS...: Memo from CIA's Helsinki Chief of Station to Chief, Western Europe, 1/24/58. The CIA network confronted Soviet seamen, tourists, officials, athletes, even Soviet soldiers in East Germany...to induce them to defect, or to recruit them as spies: William Blum, Killing Hope, p. 116-118. In 1990, the Communist Party within the Soviet Union admitted its fear of the NTS and other groups working with Western security agencies in preparation for the collapse of the Soviet government: JPRS Report -- Soviet Union Political Affairs, 1/9/90, pp. 16-17. De Mohrenschildt's father was Russian, of German and Swedish descent, and was a marshal of nobility of the Minsk province...: Warren Commission testimony of George de Mohrenschildt, Volume 9, pages 168-169. The Bolsheviks ran the family off their Russian home, and they were forced to move to Poland and consolidate their land holdings: Nancy Wertz, "George de Mohrenschildt, Who Are You? ", The Fourth Decade, Volume 5, Issue 5, July 1998. One story is that de Mohrenschildt's father was killed by the Bolsheviks: Statement of Igor Pantoroff, an NYC portrait artist, who knew de Mohrenschildt since the early 40s. See report of SA James Morrissey, 2/28/64, p. 18, Reel 5, Folder M -- George de Mohrenschildt, NARA Record Number: 1994.04.25.14:02:25:940005. Another story is that his father was arrested, but escaped: Statement of Igor Voshinin. See memo of SA James K. Fresney, 3/12/64, Reel 5, Folder M -- George de Mohrenschildt, NARA Record Number: 1994.04.25.14:02:25:940005. De Mohrenschildt observed that "most of the colony in Dallas is more emotionally involved in Russian affairs then we are...So to me it does not mean very much." Warren Commission Hearings, Testimony of George de Mohrenschildt, Volume 9, p. 266. De Mohrenschildt had an extremely deep background with the intelligence community, going back for more than twenty years: A good source on his background is Nancy Wertz, "George de Mohrenschildt, Who Are You? ", Fourth Decade, Volume 5, No. 5, p. 8, July 1998. His handler appears to have been Thomas Schreyer, identified as "the acting chief" of the IO Division back in 1956...: 7/6/56 memo from Thomas Schreyer to DCI, HSCA Segregated CIA Collection, Box 14 /NARA Record Number: 1993.07.14.17:33:14:000480. Schreyer also signed the Fitness Reports during the sixties era for E. Howard Hunt, who was a key contact for the Cuban exiles: 12/20/73 memo by DDO, HSCA Segregated CIA Collection, Box 37 / NARA Record Number: 104-10105-10233. It is curious Hunt advanced so far in the agency, as he was described as "unstable" to CIA security officer Robert Bannerman as early as 1949. In April 1963, C. Frank Stone at the Domestic Operations Division asked for traces on de Mohrenschildt. 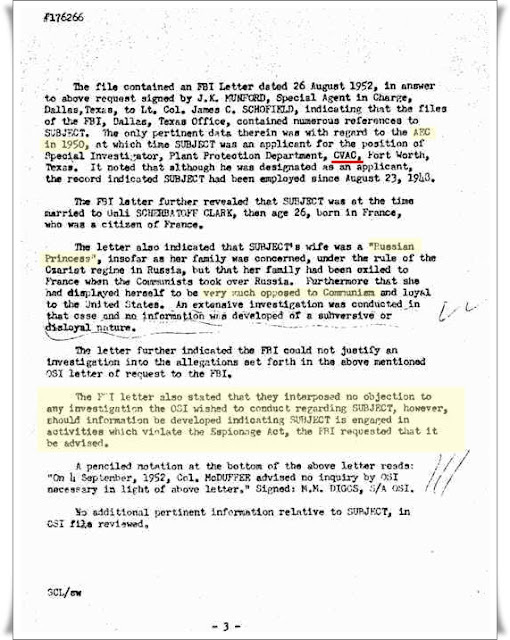 Background information was provided, and Schreyer's name was provided as the source for any follow-up: 5/9/63, Response to Request for Traces by REDACTED. Russ Holmes Work File /NARA Record Number: 104-10436-10014. 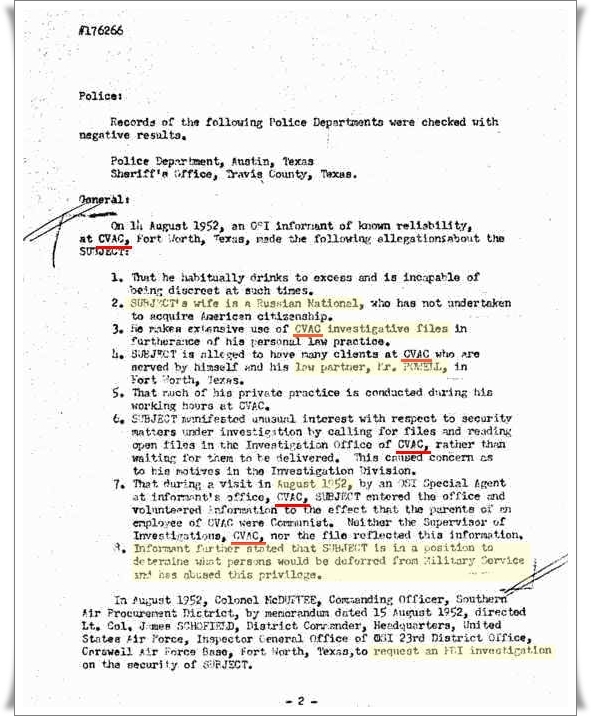 The CIA admitted before the assassination that de Mohrenschildt was "of interest" to them: Memo by Richard Helms to Warren Commission counsel J. Lee Rankin, 6/3/64, HSCA Segregated CIA Collection, Box 62 / NARA Record Number: 1993.08.06.15:03:12:400028. CIA Director Richard Helms complimented de Mohrenschildt for providing valuable foreign intelligence in 1957: Id. His brother Dimitri von Mohrenschildt, described by the CIA as being "employed in a confidential capacity by the U.S.government": Memo, "#775 Subject was Investigated by Federal Agencies", p. 2, HSCA Segregated CIA Collection, Box 41 / NARA Record Number: 104-10112-10454. He is said to have been one of the founders of Radio Free Europe and Radio Liberty: AllExperts website: http://en.allexperts.com/e/g/ge/george_de_mohrenschildt.htm . Also see Joseph Trento, The Secret History of the CIA. This CIA bio of George states that "Dimitri is stated to be employed in a confidential capacity by the U.S.Government." Memo, "#775 Subject was Investigated by Federal Agencies", p. 2, HSCA Segregated CIA Collection, Box 41 / NARA Record Number: 104-10112-10454. Records indicate that Dimitri was approved to work with the OSS and that he provided intelligence services for the CIA in the 1950s: Biographic information on George De Mohrenschildt, 12/21/67, HSCA Segregated CIA Collection, Box 41 / NARA Record Number: 104-10112-10442. Here's a 1968 CIA document looking at using Dimitri at that late date as a source: 11/1/68, Interoffice Memorandum, HSCA Segregated CIA Collection (microfilm - reel 5: Conte - De Mohrenschildt) / NARA Record Number: 104-10244-10132. A lengthy CIA-created list entitled "Companies and People Known to be Associated with De Mohrenschildt" includes only one political group: "Dallas Committee Radio Free Europe. ": See title page and p. 5, Reel 5, Folder M, HSCA Segregated CIA Collection (microfilm - reel 5: Conte - De Mohrenschildt) / NARA Record Number: 1994.04.25.14:02:25:940005. A CIA memo notes a New York Times article and a de Mohrenschildt quote indicating that George knew the families of the Kennedys and the Oswalds better than anyone else: Office of Security background information on George de Mohrenschildt, 4/28/75, p. 2, HSCA Segregated CIA Collection, Box 34 / NARA Record Number: 1993.07.20.11:12:53:400530. George couldn't get OSS credentials during World War II because of security disapproval: Memo from M.D. Stevens to Chief/Research Branch/SRS/OS, 12/30/63, p. 2, HSCA Segregated CIA Collection, Box 47 / NARA Record Number: 1993.07.31.08:46:41:900046. He was subjected to five separate investigations by intelligence during the 40s and 50s: Memo, "#775 Subject was Investigated by Federal Agencies", p. 2, HSCA Segregated CIA Collection, Box 41 / NARA Record Number: 104-10112-10454. One of the recruitments of de Mohrenschildt exposes his roots in Pennsylvania from back in the day with his Quaker wife Phyllis Hamilton: See the passport information in Russ Holmes Work File / NARA Record Number: 104-10431-10041. On Phyllis Washington's employment at Radio Free Europe: See memo from M.D. Stevens to Chief/Research Branch/SRS/OS, 12/30/63, p. 2, HSCA Segregated CIA Collection, Box 47 / NARA Record Number: 1993.07.31.08:46:41:900046. On Dulles setting up Itkin's meeting with "Philip Harbin" in 1954: See Memorandum for the Record by CIA counsel Lawrence Houston, 11/20/68, p. 2, HSCA Segregated CIA Collection, Box 38 / NARA Record Number: 1993.07.20.16:58:46:960340 . CIA chief Allen Dulles was the first chief of Radio Free Europe after World War II: Puddington, p. 25. William Gaudet verified at an HSCA deposition that he knew De Mohrenschildt under his alias as Philip Harbin: Gaudet's 6/15/78 deposition is at the National Archives, JFK Document 010347. Nancy Wertz discusses Gaudet's claim that de Mohrenschildt was "Philip Harbin" in her article, "William Gaudet -- Make Room for the Man at the Front of the Line", Kennedy Assassination Chronicles, Volume 5, Issue 2. De Mohrenschildt's beloved and soon-to-be new wife, Jeanne, was from Harbin, China: FBI memo, 2/28/64, p. 69, Reel 5, Folder M -- George de Mohrenschildt, NARA Record Number: 1994.04.25.14:02:25:940005. Angleton testified that Dulles was a very close friend of his family: Deposition of James Angleton, p. 31, Church Committee Boxed Files / NARA Record Number: 157-10014-10003. 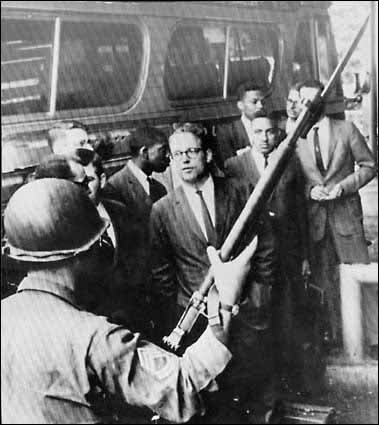 Lawrence Houston said in a 3/20/70 Memorandum for the Record that "everything we could determine after thousands of hours of research was that the first contact with Mr. Itkin was in 1962": HSCA Segregated CIA Collection, Box 38 /NARA Record Number: 104-10106-10434. Itkin's Story of His Work for the CIA: As related by notes, by Warren Donovan, 1/17/68, NARA Record Number: 104-10107-10116; for a broader overview, see Time Magazine, 10/17/69; and how he got his CIA code name "Portio" and more in the New York Times, 12/15/69. 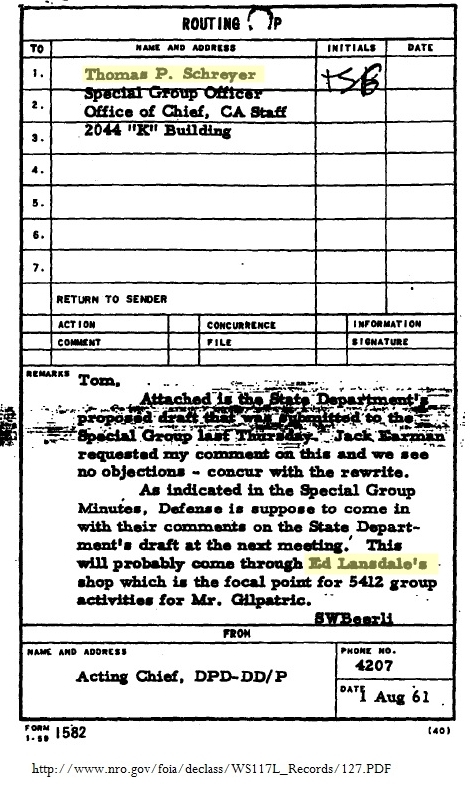 Itkin's handler in 1963 was Mario Brod, who was recruited in Italy by James Angleton during World War II and had operational involvements in Haiti: Notes re memo from Jerrold B. Brown for Inspector General, "Possible Questionable Activity", 7/1/75, pp. 1-2, HSCA Segregated CIA Collection (staff notes) /NARA Record Number: 180-10143-10196. Before his brother was killed, Bobby Kennedy himself was relying on mob tips from Itkin : Memo from Jerrold B. Brown for Inspector General, "Possible Questionable Activity", 7/1/75, HSCA Segregated CIA Collection, Box 43 / NARA Record Number: 104-10119-10002. , 7 HSCA Segregated CIA Collection, Box 43 / NARA Record Number: 104-10119-10002. In 1966, Itkin was reportedly researching the case of the Sovi et spy George Blake, under his code name "Portio," while Angleton held onto his private "Mike/Portio/Haiti" file: "Notes on People", New York Times, 2/23/72 HSCA Segregated CIA Collection, Box 43 / NARA Record Number: 1993.07.24.08:41:29:500310. "Mike" at the CIA got the article about"Itkin/Portio" anonymously in the mail, according to Ray Rocca: Note by DC/CI Ray Rocca on Routing and Record Sheet, 2/29/72, HSCA Segregated CIA Collection, Box 38 / NARA Record Number: 104-10106-10341. Angleton held onto his private "Mike/Portio/Haiti" file: The Mike/Portio/Haiti file was held in Angleton's office and not integrated with CIA documents. Memo from David H. Blee, Chief, CI Staff, 3/29/79, Miscellaneous CIA Series /NARA Record Number: 104-10303-10000. By 1971, Paul Hartman from CIRA was asking to review Itkin's CIA file, no doubt to educate himself on some fine points: 6/4/71 request by Paul Hartman for Itkin's security file, NARA Record Number: 1993.07.24.08:41:29:500310. This group of Russian refugees called themselves Solidarists: Warren Commission testimony of George De Mohrenschildt, Vol. 9, p. 267. 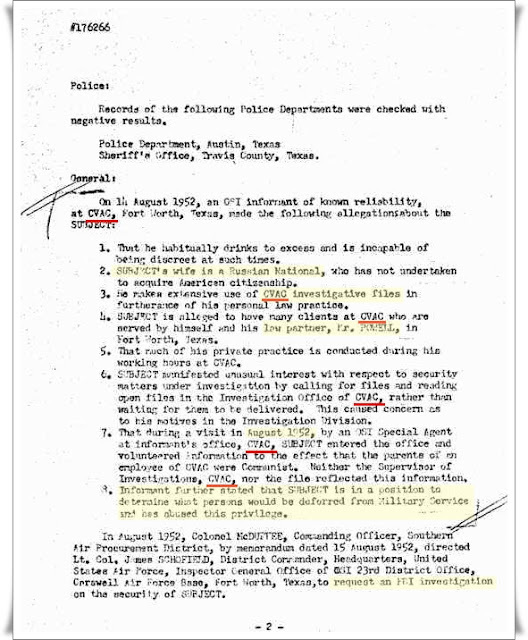 When the group's leader was interviewed in New York in 1957 by the FBI, the Dallaspeople he knew of that were active at that time were Igor Voshinin and oil man Paul Raigorodsky: Memo by SA Paul Garrity, New York, to Director, FBI, 10/21/57, FBI - HSCA Subject Files, Q - R / FBI - HSCA Subject File: Paul M. Raigorodsky / NARA Record Number: 124-90123-10010. Raigorodsky, known as the "Czar", served as the chief of the Petroleum Coordinator for War during two years in the forties: 9/16/52 memo by St. Louis FBI. FBI - HSCA Subject File: Paul M. Raigorodsky /NARA Record Number: 124-90123-10089. Igor Voshinin and his wife Natalie lived in the New York City area between 1947-1955, when they moved to Dallas: Testimony of Igor Voshinin, Warren Commission Hearings, Vol. 8, p. 450. The NTS - Russian Solidarists...exists in the form of an underground movement in Russia and also has groups in the rest of the world: FBI interview by SA Kenneth B. Jackson with Mrs. Igor Voshinin, 12/10/63, Dallas, Texas; Oswald 201 File, Vol 16/, CD 205, Part 1. George repeatedly hinted that he was performing some services for the State Department... Mrs. Igor (Natalie) Voshinin, Warren Commission Hearings. 8, p. 442, 3/26/64. De Mohrenschildt made a presentation at a lecture hall about General Vlasov's Russian army that fought on the side of the Germans: Testimony of Igor Voshinin, Warren Commission Hearings, Volume 8, page 468. Raigorodsky agreed that de Mohrenschildt was a "prankster": Testimony of Paul Raigorodsky, 3/31/64, Warren Commission Hearings, Vol. 9, p. 20. When asked if de Mohrenschildt was a "provocative personality", Natalie Voshinin said "definitely". Id., Vol. 8, p. 443. He said that Kennedy was the first Democrat he would ever vote for: George de Mohrenschildt, manuscript of I'm a Patsy! I'm a Patsy! HSCA Report, Volume 12, p. 225. Look at de Mohrenschildt's musings about Soviet premier Nikita Khrushchev: "He is gone now, God bless his Bible-quoting soul and his earthy personality": George de Mohrenschildt, I'm a Patsy!, p. 204. On the plight of the poor, George brought up his bond with Lee Oswald: George de Mohrenschildt, I'm a Patsy!, p. 187. Bouhe testified that Paul Raigorodsky was the'godfather' of the group, while he himself did the organization work: Warren Commission Hearings, Testimony of George Bouhe, Vol. 8, p. 358. George Bouhe formed the St. Nicholas Russian Orthodox Parish, one of the two Russian Orthodox parishes in the Dallas-Fort Worth area in 1963: FBI interview by James Hosty of Igor Voshinin, 12/12/63, Commission Document 205 - FBI Report of 23 Dec 1963 re: Oswald, p. 593. Testimony of George Bouhe, Warren Commission Hearings, Vol. 8, p. 357. The "Bouhe group" met in individual homes with a priest from Houston visiting every five or six weeks and had services in Church Slavonic, an old Slavic language: Mrs. Igor Voshinin, Vol. 8, p. 430, 3/26/64. De Mohrenschildt was part of St. Nicholas' choir when married to a Philadelphi woman from the prominent Sharples family: Warren Commission Hearings, Testimony of Igor Voshinin,. Vol.. 8, p. 455. The other church, St. Seraphim's, was located at 4203 Newton Street in Dallas,where Igor Voshinin attended and services were in English: FBI interview by James Hosty of Igor Voshinin, 12/12/63, Commission Document 205 - FBI Report of 23 Dec 1963 re: Oswald, p. 593. Bouhe was in everyone's business, saying things like: "Well, you know, I forget things - so I keep a file on everybody." : Warren Commission Hearings, Testimony of Igor Voshinin, Volume 8, p. 454. Clark referred to his interviewing agent Earle Haley as "Earl": Testimony of Max Clark, Warren Commission Hearings, Volume 8, pp. 349, 352. Everyone was discussing whether or not they should (associate with Oswald): Testimony of Max Clark, Warren Commission Hearings, Volume 8, p. 351. Back in 1951, Convair had also won the Air Force contract for the first funded ICBM study contract: George Michael Evica, A Certain Arrogance, (Xlibris, 2006), p. 205. Her name was in Oswald's address book: See the Office of Security memo, with Max Clark's bio and OSI file: RIF# 104-10419-10316, pp. 1-5. Clark received a "covert security approval" by the CIA in April 1959 for use in what was referred to as "Project ROCK": RIF# 104-10419-10316. William Harvey was part of Project ROCK during this time period: HSCA Segregated CIA Collection, Box 42/ RIF# 104-10106-10581. Also see M. D. Stevens memo to file, 1/30/64, "Lee Harvey Oswald/Address Book", HSCA Segregated CIA Collection, Box 47, NARA Record Number: 104-10132-10011. Re the U-2 (Aquatone) tie-in with Project ROCK. Max Clark worked closely with I.B. Hale, the chief of industrial security at General Dynamics: HSCA Segregated CIA Collection, Box 40; NARA Record Number: 1993.08.02.10:25:15:250060; Office of Security File on Clark, Max Edward. I. B. Hale had been married to Virginia Hale, who got Oswald his sheet metal worker job at Leslie Whiting during July 1962...she remembered Oswald "quite well": Interview by SA Earle Haley and SA Robley D. Madland with Virginia Hale, Warren Commission Hearings, Volume 23, p. 694, Exhibit 1891. At the time, the 7 billion dollar contract for the TFX was the largest military contract in history: Peter Dale Scott, in The Dallas Conspiracy, Chapter 3. The next day, August 6, JFK mistress Judith Campbell twice called the White House: Anthony Summers, Official and Confidential, (G. P. Putnam's Sons: New York, 1993), p. 301. On I.B. (Insall Bailey) Hale's role with the break-in at home of Judith Campbell, girlfriend of both JFK and gangster Sam Giancana: Report of SA William R. Carter, 8/8/62, FBI - HSCA Subject File: John Roselli/NARA Record Number: 124-10220-10433. Carter was interviewed by Sy Hersh in The Dark Side of Camelot. Controversy over the decision to award the contract to General Dynamics: George C. Wilson, "Twining's Book Backs", Washington Post, 9/18/66. Bolshevik Perfidy and Nazi Greed?